There are a lot of good crafters, distributors, artists, photographers, and others that we would like to recognize. FInd them in the Friends of Fun-Kins area. JoAnn has project ideas and Fun-Kins available in store and online. Check out the Inspiration section and their selection of Fun-Kins. From the Pumpkin Wizards site: Moonlight creeps into the darkened room. A mysterious mist shrouds your vision, and as it slowly clears, you begin to see it... slowly resolving into view... and you can tell....It's ALIVE!!!! 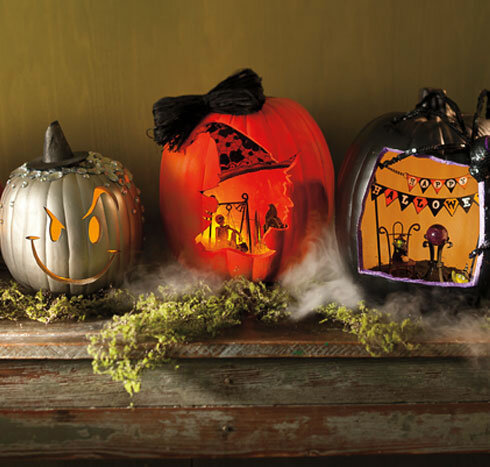 You've stumbled into the lair of The Pumpkin Wizard But don't be afraid... our creations are friendly!